MILES O'BRIEN: We begin in Iraq. General David Petraeus, facing off with reporters in Baghdad for the first time since he assumed command. CNN's Michael Ware was at the news conference. Michael, what was your impression? 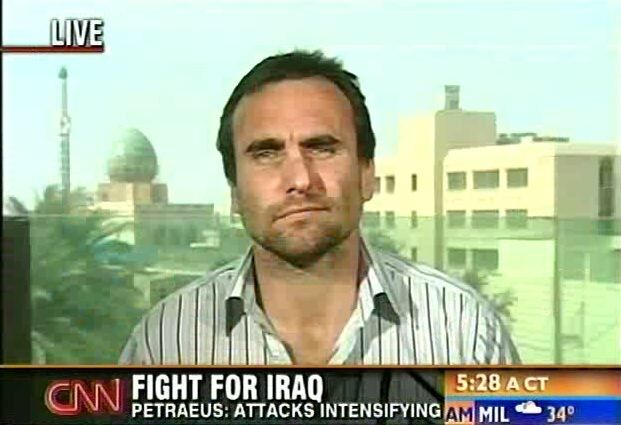 MICHAEL WARE, CNN CORRESPONDENT: Well, Miles, General David Petraeus, who only arrived in Iraq one month ago, and is the top military commander overseeing this war, and the man charged with fulfilling the controversial surge strategy to reclaim the capital here in Baghdad, really had nothing much to reveal that was new. Either in terms of strategy or in terms of timetables for troop levels. He did say that, you know, obviously, the focal point was the Baghdad security plan. He said it's early days, so far it's progressing well, but the signs are not clear enough to make any long-term predictions. He said that American troops -- the surge reinforcements -- are not yet in place, won't be at least until June, and indicated clearly that they will be here for some time. He also indicated that it's not just the metropolis that will be targeted, but also the insurgent's support bases around the capital. What was also interesting, however, was some of the things that the general did not say. Particularly, there was no direct criticism or focus on the Shia militias, particularly that of rebel anti-American cleric Muqtada al-Sadr, whom rumor says is engaging in a potential political deal with the Iraqi government. M. O'BRIEN: Well, you mentioned a political deal. The general said it is politics that will provide some sort of solution in Iraq. And yet he is four-square behind the troop buildup there and offers no real end in sight for people looking for U.S. troops to come home. It seems as if there's a contradiction inherent there. WARE: Well, there is no end in sight for U.S. troops coming home, certainly anytime soon. I mean, no matter which way you play out the scenario here in Iraq, I mean, Iraq is at such a point, it's such a mess, that everyone from President Bush to General Petraeus calls this situation dire. Now, they don't call it hopeless, but it's certainly akin to a disaster. Now, the way out will not be military. It will be political. And what we saw is General Petraeus perhaps hinting at that. One of the greatest problems in the capital has been the Mahdi militia and its death squads. Well, we didn't hear General Petraeus mention the name "Mahdi militia." And when it did come up, he was very careful to say it's only the extremists among them who were the problem, not the militias themselves. M. O'BRIEN: Michael Ware in Baghdad. SOLEDAD O'BRIEN: Let's get right to Michael Ware. He was there when General David Petraeus faced off with reporters, the first time since the general arrived in Iraq just a month ago. Here's his report. MICHAEL WARE, CNN CORRESPONDENT (on-camera): In his first press conference since arriving in the country one month ago, America's new commander of its war in Iraq and the man overseeing the controversial new surge strategy to reclaim the capital of Baghdad, General David Petraeus revealed nothing new about American strategy nor its timetable for troop levels or withdrawals. However he did flesh out to some degree how he sees the battle unfolding in the months to come. The focus of the general's first press conference was the Baghdad security plan. GEN. DAVID PETRAEUS, CMD, MULTI-NATIONAL FORCE IRAQ: Improving security for the Iraqi people is the first step in rekindling hope. The upward spiral we all want begins with Iraqi and coalition forces working together and locating in the neighborhoods those forces must secure. WARE: General Petraeus also indicated, without giving specifics that many of these new forces will be deployed around the metropolis, into the rural support zones from which the insurgents have been forging their attack. Under question, the general also dampened speculation that his call for an additional 2,200 military police was an escalation of the troop levels, describing them more as enablers or supporters of the combat troops already committed to the new fight. PETRAEUS: In partnership with our Iraqi colleagues, help improve the security situation and enable the Iraqi people to control the demons responsible for the vicious sectarian violence of the past year, demons that tore at the very fabric of Iraqi society. WARE: General Petraeus made no mention of the militia or any attempts to curb its power, perhaps fueling speculation here in Baghdad that a political deal is currently on the table between the weakened central government of Prime Minister Nouri al Maliki and the rebel cleric Muqtada al Sadr. 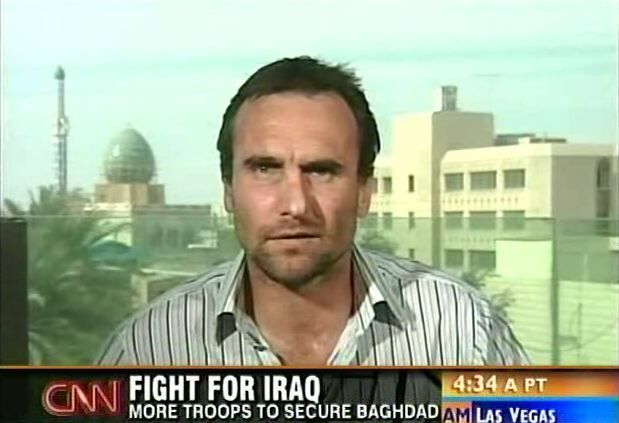 Michael Ware, CNN, Baghdad.